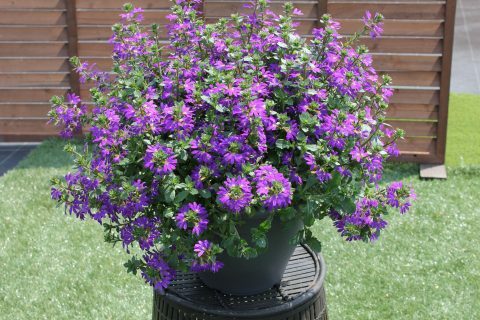 Surdiva® Scaevola is now one of the most heat tolerant plants around and offers continuous color even through summer and bad weather. Its blossoms are unique fan-shaped. They bloom well into the fall. Their habit is compact and semi-trailing. Easy to grow and maintain. They are self-cleaning. General usage is in baskets, combination plantings, window boxes, and landscaping.